It was a busy day in Hartford as the legislative session kicked off and Ned Lamont was sworn in as the 89th Governor of Connecticut. The day started off with the opening session in both the House of Representatives and the Senate. Joe Aresimowicz was re-elected as Speaker of the House and Martin Looney was chosen as the President Pro Tempore of the Senate. There were many new faces at the capitol today. In 2018, 41 new members of the state legislature were elected. After the opening of the session for the legislature, the spotlight turned to the state armory for the inauguration of Ned Lamont. Following the swearing in of the constitutional officers, Former Chief Justice of the Connecticut Supreme Court Chase Rogers administered the oath of office to Governor Ned Lamont. After the oath, the Governor gave a brief inaugural address. Governor Lamont thanked his supporters, the constitutional officers, and Governor Malloy. He then said that he would not let his term be defined by a fiscal crisis. The inauguration was followed by a 19 gun salute from the Connecticut National Guard and the Inaugural Parade. Governor Lamont marched alongside his family in a parade that featured the Harding High School Marching Band and the Governor’s Foot Guard. The Governor received a warm welcome and supporters cheered as he walked by. Later in the afternoon, the Governor gave his State of the State Address to a joint session of the House and the Senate. In a speech that lasted just over 20 minutes, Lamont said he would deliver a budget and told legislators “Let’s fix the damn budget once and for all”. Democratic legislators erupted with applause when the Governor proposed a $15 minimum wage and family and medical leave. However, the address was very bipartisan and Lamont says that his door is always open. Governor Lamont definitely offers a different approach than his predecessor and he has a tough job ahead of him. After winning two months ago, Ned Lamont will be sworn in as the 89th Governor of Connecticut on Wednesday, January 9th . Lamont, 65, will take over a projected state budget deficit of $1.7 billion. Lamont is ambitious to govern and says he will start working hard to fix the state’s problems on day one. Ruling out income tax hikes and tolls for cars Lamont says he will likely add truck only tolls and will create a better relationship with the business community. Expectations for Lamont are high but some are questioning if he will be able to deliver. The deficit is projected to increase and Lamont will have to make tough decisions to balance the budget. What is clear in Lamont’s picks for his staff and leaders of state agencies is that Lamont wants new and experienced people to work for him. Lamont has chosen people from both the private and public sector for his senior staff. Drajewicz as Chief of Staff brings an approach from someone who has worked for both a private corporation and the government. Joe Giulietti as the Commissioner of the Department of Transportation will bring a new perspective to the department. Giulietti previously served as President of Metro-North Railroad and has worked on transportation projects all across the country. Rollin Cook, who previously headed the corrections department in Utah, brings an immense amount of experience in criminal justice and prison reform to the Corrections Department in Connecticut. Ned Lamont has a herculean task in front of him. All eyes are on him and the people of Connecticut need him to deliver. It is important that the people of Connecticut understand that change will not happen quickly. It can only happen slowly over time and the people of the state need to be patient and proactive. It was not until over twelve hours after the polls closed that voters in Connecticut found out who their next Governor would be. After hours of waiting due to issues with voter registration in New Haven and wet ballots across the state, Ned Lamont won the election to be Connecticut’s Governor. With 95% of the vote in Lamont beat Bob Stefanowski 48.6% to 46.9%. Lamont was likely elevated by the extremely high turnout. 65.6% of eligible voters voted. Turnout was up almost 10% from the 2014 Gubernatorial race. 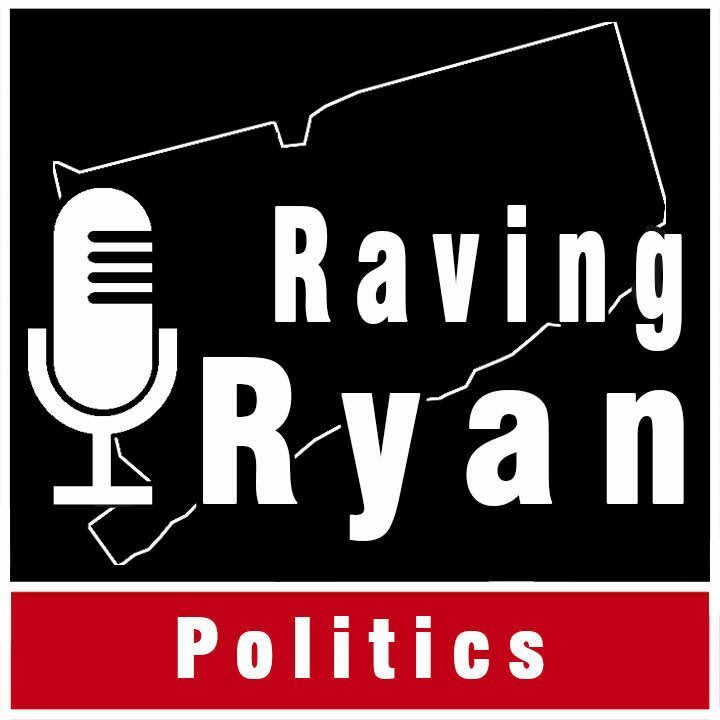 Bob Stefanowski called Ned Lamont to concede Tuesday morning and then publicly conceded on “Chaz and AJ” on WPLR. Stefanowski thanked his supporters and congratulated Ned Lamont on a fair and square and well-fought race. Stefanowski also offered to help Lamont in any way to get the state back on track. Ned Lamont first appeared publicly as the Governor-Elect at noon at Dunkin Donuts Park. In a brief speech, Lamont thanked his supporters, campaign staff, and Bob Stefanowski for a well-run campaign. Lamont said he would take Tuesday to reflect and relax but would be up early on Wednesday to begin the transition. The Democrats managed to keep control of all of the state’s constitutional offices. William Tong was elected Attorney General, Shawn Wooden was elected State Treasurer, Denise Merrill was re-elected as Secretary of State, and Kevin Lembo was re-elected as Comptroller. In what seemed to be a good opportunity for Republicans to take the Governor’s mansion and the State Legislature, the Democrats maintained control of both branches. The Democrats broke the 18-18 tie in the Senate and now control 24 of the 36 seats. In the House, the Democrats picked up 12 seats and now control 92 of the 151 seats. Lamont will take office on January 9th and is expected to begin the transition soon. Governor Malloy congratulated his former 2010 opponent and said he plans to meet with the Governor-Elect later this week. Before my interview with the Chief Justice of the Supreme Court of Connecticut Richard Robinson, I had not had a personal interaction with a judge. Judges are not always the most approachable person for the average person. The sense of superiority and power creates the false narrative that judges are not like normal people. Chief Justice Robinson is one of the most approachable, funny, and intelligent people that I have ever met. His knowledge of the law and his passion for his job were evident when I interviewed him. Chief Justice Robinson talked about his extensive career in the judicial system serving on the Superior, Appellate, and Supreme Courts in the state. His humbleness and openness were astonishing. He never thought he would become the first African American Chief Justice of the state’s court, but he is honored to serve. Richard Robinson’s career is incredible and he has done so much for the judicial system but what I found the most interesting was his life outside of the court. His main hobby is Karate. The Chief Justice is a fourth-degree black belt but his wife is an even more impressive sixth-degree black belt. The Chief Justice also listed Pepe’s as his favorite place for Pizza and talked about what it is like to tell people he is the Chief Justice of the court. I thoroughly enjoyed my interview with the Chief Justice and thank him greatly for the opportunity.